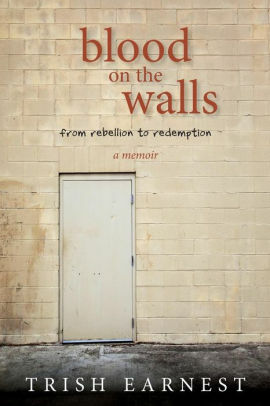 Trish Earnest is the author of the new memoir Blood on the Walls: From Rebellion to Redemption, which recounts her experiences with addiction and incarceration. She is an addictions clinician, and she lives in Maryland. A: The book was very cathartic for me…the issues were things I was not able to talk about for a long time, about 20 years. Writing it was very therapeutic for me. Putting it in writing was easier than talking about it, and once it was in written form, it opened up Pandora’s box for me. I was able to heal from some of those issues that occurred. Q: And how did you decide on the issues to include? A: I was willing for it to be very personal—that felt important because I wanted people to understand what can happen as a result of people getting caught up in alcohol and drug abuse. There’s a lot more I didn’t include—I felt what I did include was very relevant. Q: You describe some very painful times in your life, and you’ve said it was cathartic—can you say more about the impact on you as you wrote about those periods of time? A: It was very emotional to write this. I had to take time away; it was a very long process, five or six years. And I was a single mom. As my boys were gravitating away from me--that was a really tough time for me--I started writing this. It was a way to keep busy. I knew Tony and Max needed to live their lives, and I needed to allow them to do that. I had a lot of free time, and writing this occupied my mind. Why it was titled that way was because of Montrose [a juvenile facility in Maryland] having such an impact on me, that period and what happened in that place. 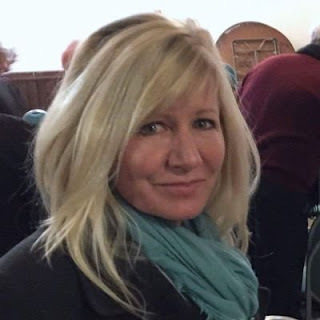 Originally I was only going to write about a couple of years in my adolescence, and then the story grew and grew and it was hard to find a cutoff point. Q: So how did you find that cutoff point? A: I thought maybe I would do a book two if this does well. I wanted to include [my childhood in] Greece, and got feedback that it was repetitive. Greece…felt like home. I wanted to describe Greece as best I could, and show it was my home and that it was so difficult coming back here. Greece was a big part of the story. And the boys—I wanted to convey that motherhood was a big part of my recovery. Q: What do you hope readers take away from your story? A: I hope readers will see that addiction can touch anybody, not just that guy under the bridge with a brown bag. I’m very active in the recovery community. It touches people in the professional community. It touches everybody. If you haven’t been affected by addiction or alcoholism in a direct way, you will be—as we’re seeing it in the news, as we know people who have daughters or sons who have died of overdoses. I see it in my field, the addiction treatment field. It’s tragic. We need to come up with solutions. It can affect everybody and it just comes out of nowhere. That’s why I decided to be personal [in the book]. Q: Your family is a big part of this book. How have they reacted to it? A: I sent it to my ex-husband, my entire family—I let people know who were in the story and got everybody’s blessing. Everybody in the family—my sons, my mom and dad, are very proud of me. Even my ex-husband. Right now I’m trying to market the book, and talking to people in New York and California who are very interested in the book. We’ve considered reediting it; I’m not sure where we are with it. I’m not sure if we’ll come back out with it and do another book launch. The response has been just incredible, and the feedback has been very positive. So I would like to get on a larger platform with the book…it would be amazing. I’d like to see a movie! 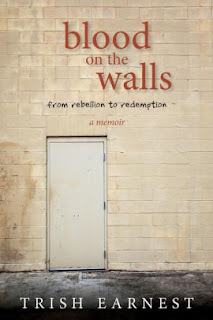 I’ve been working in the addiction treatment system, and it can be flawed; I’d like to [speak out]…The book is opening up different avenues for me, which is great!